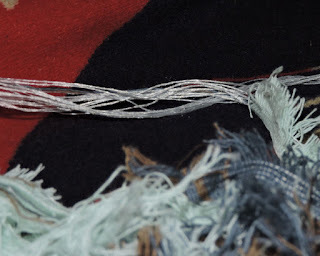 I love Pendleton blankets so much, and love recycled crafts- so recently I ordered 19 lbs of scrap and mill ends from their store in Portland. 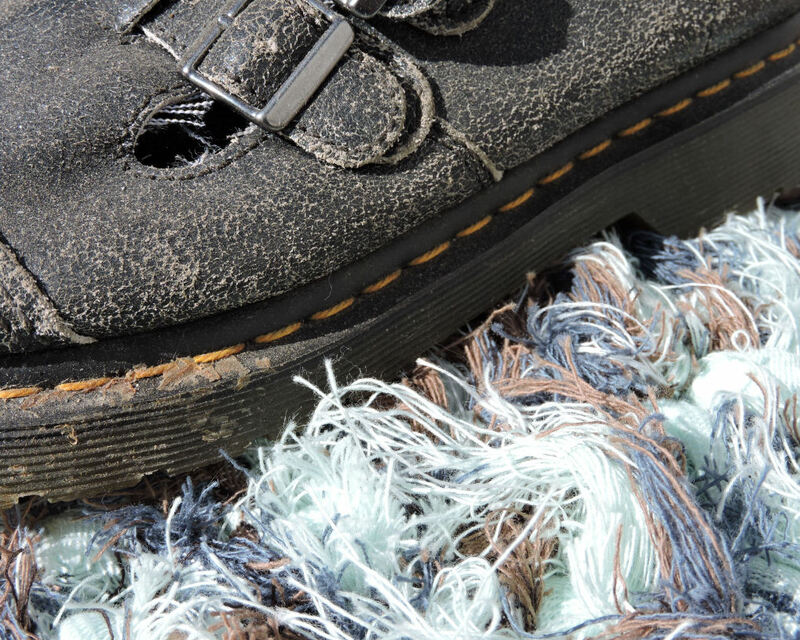 You can check out the list and prices here- Pendleton Woolen Mills Store. To order the scraps, you'll email or call the company and talk to someone very helpful (excellent customer service!) and in my case, they invoiced me with the shipping rate. I live in Alaska so probably paid a bit more for shipping than most people in the US will- but even with shipping, this heavy rug cost less than 15 dollars to make, and took about a day with frequent breaks to do other things. I ordered the flannel weight and ordered 10 dollars worth- and it's all this color! So expect to see more projects in this fantastic "yarn"- it's like a very fancy novelty yarn to work with, and crochets up dense and soft. This isn't really a pattern because it's super easy to make. It's a simple rectangle worked back and forth in single crochet. 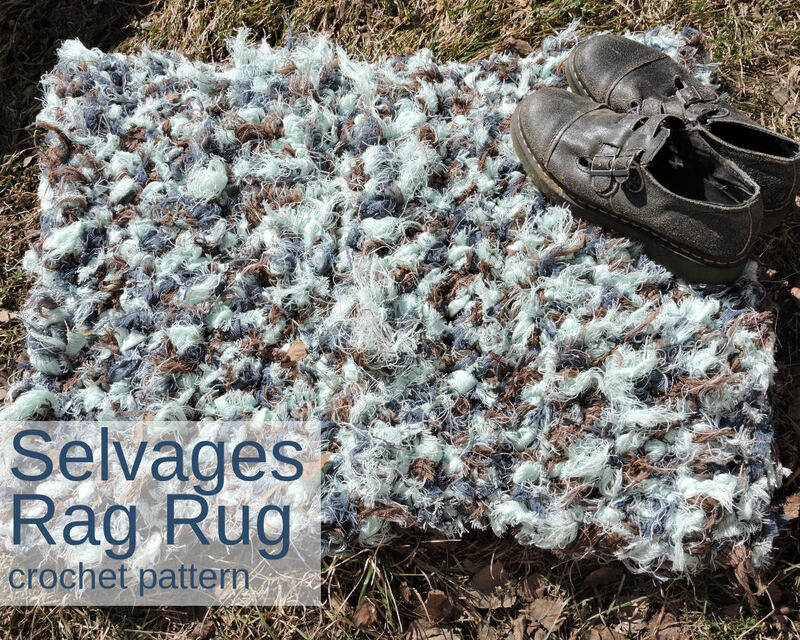 It's more of a tutorial on how to use Pendleton selvage edges for making simple rag rugs. This takes about 3 lbs of flannel weight selvages. 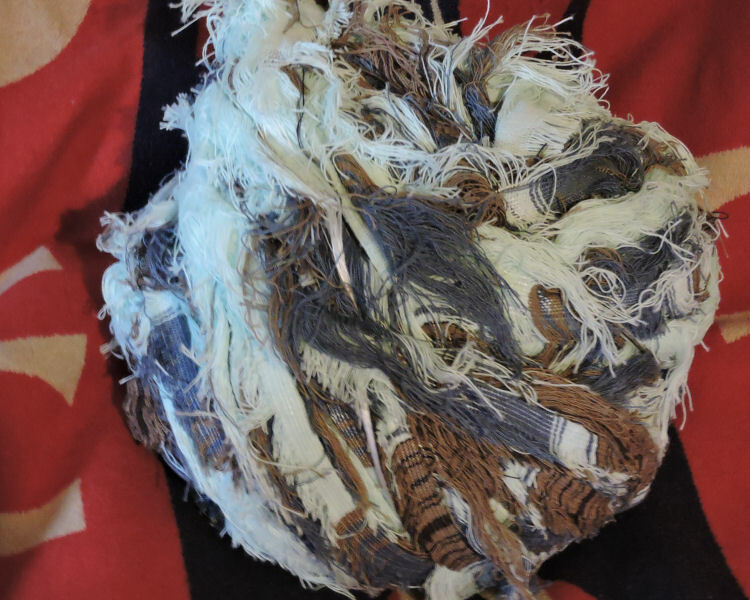 The selvages come in a fairly large ball. Photographed on a Pendleton saddle blanket. The ball is doubled strands of selvage, and what I did was unwind and cut off a few lengths- the lengths are 6 feet long with bare warp separating them, then split the two strands. You see all that amazing texture? 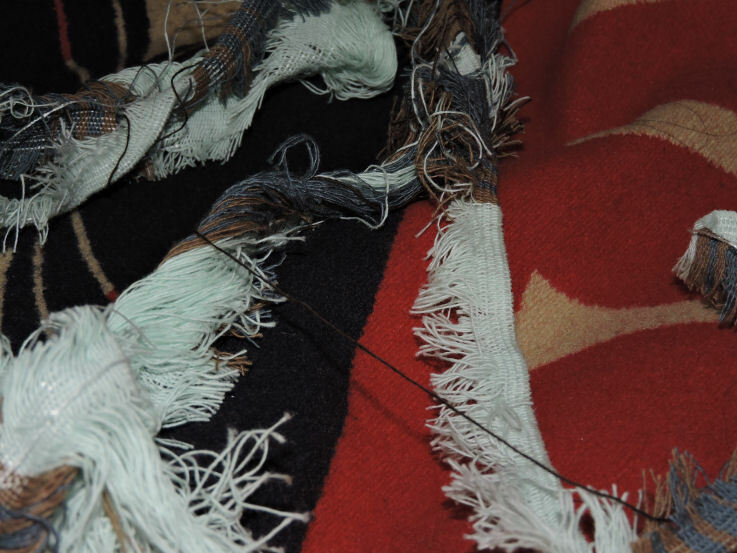 It all has those frayed edges and the fraying is in different lengths. When you get to a section of plain warp, cut in the middle of the section, then securely tie the two ends of warp together and trim the ends. I put the trimmed ends into a thread and scrap bag to use for stuffing toys later. Use it up!! Sc in 2nd chain from hook, single crochet across. Ch 1 to turn, sc in each stitch across. Repeat until you're out of selvages. 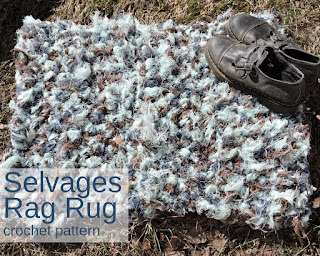 The finished size of my rug is 25 inches wide on the 20 stitch side, and 35 inches long. It's also incredibly plush and soft. My daughter thinks it's better as a lap rug than a stepping on rug because she loves the weight and softness of it. Because of the thickness of it, I like it for sitting on the stairs outside of my house- but what I made it for was the kitchen. It's even more fun if you get to go to the outlet store and pick it out yourself! I'd love to go to the store in person! Maybe sometime in the next couple of years.